Have you seen a Teddy/Shaggy or Fur coat and thought that wouldn’t work for me because that would add too much bulk, well then today’s post is for you. Although pulling off a Fuller Coat can be tricky when plus size ( no one wants to look bigger than they are ) its totally doable. I originally styled this coat with Boyfriend Jeans not the Skinny kind like the Baggy kind it was an absolute fail. What I learned (really already knew) is that when wearing over-sized (voluminous) Coat (like this Teddy/Shaggy Coat) you have to keep your bottom half sleek. So I am sure you are wondering but your Full Skirt is not sleek right? Well this look works because all the volume is concentrated up top in actual fact this volume helps balance out full thighs and my bare legs act as my sleek bottom half. Since the look was quite neutral I chose to pair it with my Mustard Pumps for a pop of color; a colbalt or Pink pair would have also done the trick. Do you have a teddy coat if you do how do you style it? If you dont will you be purchasing one? now is definitely the time to get the most bang for your buck (coats and winter merchandise are begining to be cleared out for spring ). Psst…. 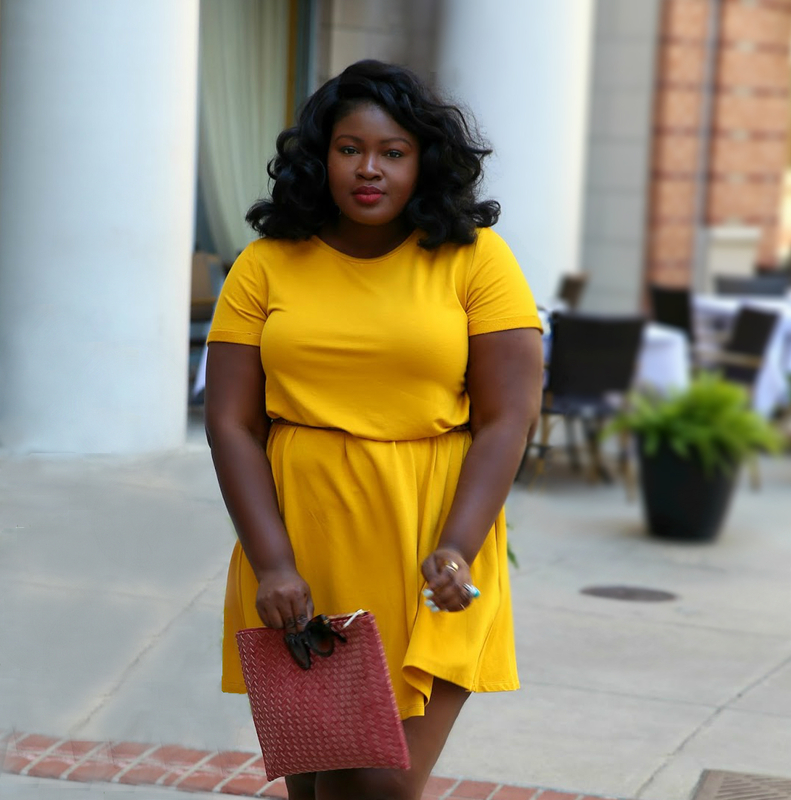 make sure you take advantage of the MLK sales going on at ELOQUII , BANNANA REPUBLIC, ASOS be sure to come back on Thursday for a Date Valentines themed post.